“Recent batch of this has been brewed by Mikkeller at Nøgne Ø. Has also been brewed at Gourmetbryggeriet, Denmark. From 2013, brewed at Lervig. 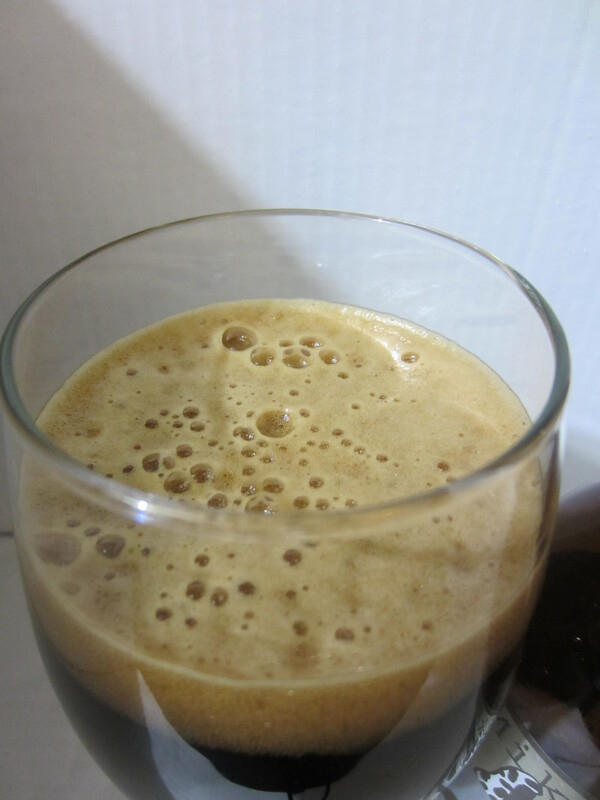 English: An oatmeal stout with 25.0% oat-based ingredients and a nice touch of gourmet coffee. A beer that goes extremely well with breakfast. Poured from a 11.2 oz bottle into a stout glass. The body is solid black, with a dark brown, frothy head that leaves minimal lacing. 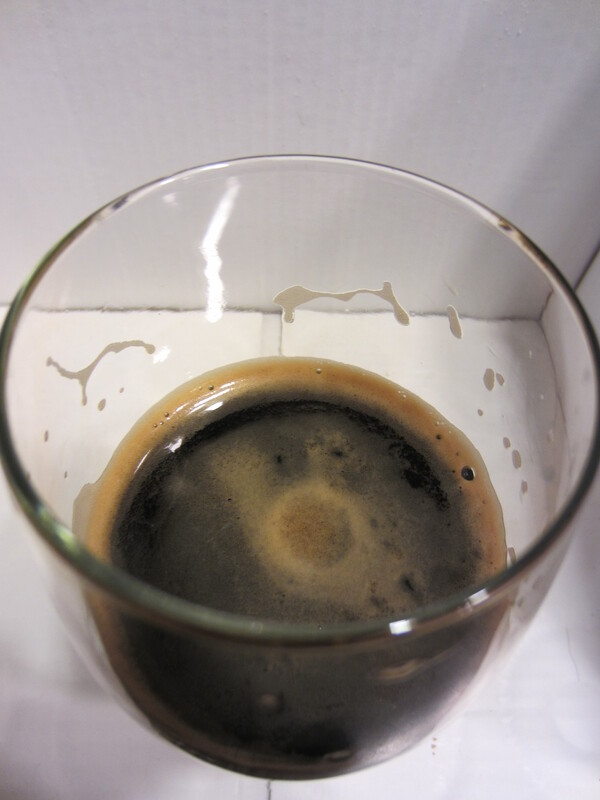 Trace carbonation can be seen crawling up the glass. A combination of bittersweet chocolate syrup and light roasted coffee emanates upfront. Undertones of caramel malts, a tiny bit of smoke, and minor black licorice/dark fruit imperial stout characteristics. 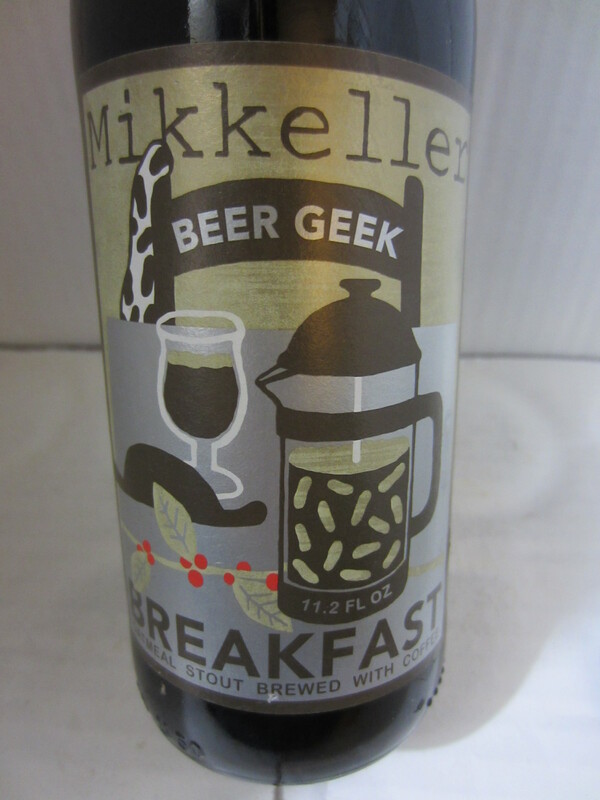 Beer Geek Breakfast has a medium-thick body, with a rich mouthfeel that possesses moderate carbonation harshness. Light dark chocolate flavor before finishing, with an aftertaste of roasted coffee and a bit of burnt popcorn. It isn’t as sweet as the nose would suggest, balanced by medium-light hop bitterness. It feels just about right at 7.5%, and getting through an entire 22 oz bomber seems like it would be a bit of a chore. Mikkeller’s Beer Geek Breakfast is on the bigger spectrum for an oatmeal stout, nearing double/imperial stout territory. It definitely carries that profile in the aromas, but less so in the mouth. A main detractor from making this beer great is the overly roasted oat/grain profile found in some oatmeal stouts. It is actually more burnt than roasted, masking a pretty good coffee profile. I remember actually disliking this beer a few years ago when I first tried it, but I find it more enjoyable now. I’m not as wowed as I hoped I would be, as Mikkeller’s brews always seem to be very hyped. I recently bought four different stouts from Mikkeller, so we’ll see how they compare. 8/10.